1. Trendy. Owing to the artful design, such as the brushed texture, PC and TPU combination design, this item can meet the majority of customers' needs freely, and thus is popular with numbers of phone users. 2. Functional. 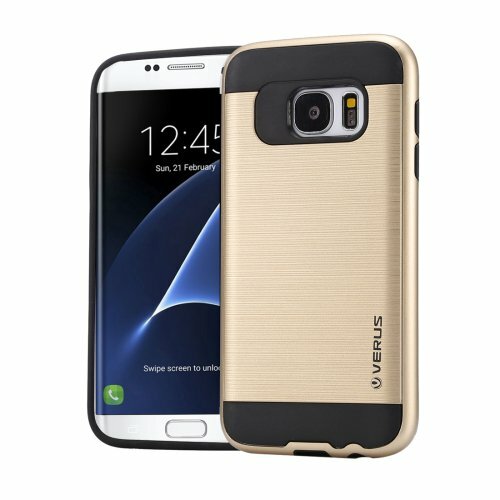 The combination case can fit your phone well and make a big difference on protecting your Samsung Galaxy S7 Edge / G935 from scratch, shock, slip when you are doing sports. 3. Convenient. All buttons and ports are accessible. Earphone hole, charging port, camera, and other buttons are reserved considerately. 4. Portable. It is unnecessary for you to take it off once your Samsung Galaxy S7 Edge / G935 puts it on because it is made of high quality PC + metal material, thus lightweight and presents the slim profile of device.